Economical construction grout complies with ASTM C1107 grade C for hydraulic cement grout; complies with CRD-C621. 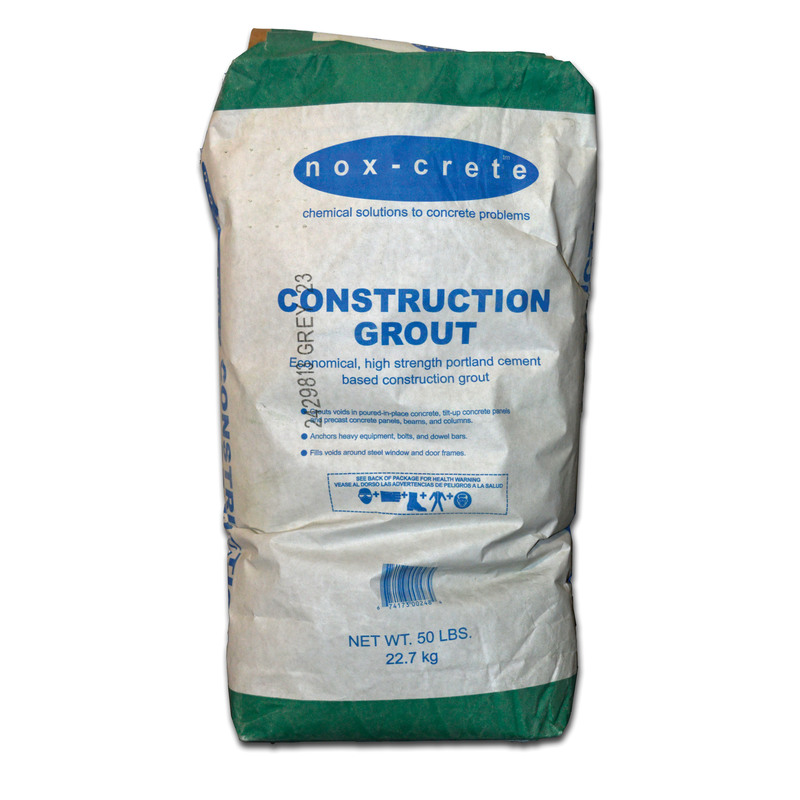 Construction Grout is a non-metallic, shrinkage-controlled, economical portland cement-based construction grout. It incorporates special aggregates, admixtures and also Portland cement. All in all, Construction Grout successfully minimizes shrinkage and maximizes strength. Keep in mind, do not mix more grout than can be placed in 15 minutes or less. Do not retemper mixed grout to restore workability or add excessive amounts of water. Additionally, do not apply to frozen substrates or at temperatures below 40 degrees F. Avoid vibrating wet grout as this can cause segregation and bleeding. Do not place this product in lifts greater than 4 inches unless the product is extended with 50% by weight pea gravel in order to dissipate the heat of hydration. Best results are achievable when allowing a minimum of 1 inch vertical clearance under base plates when placing grout.